. . . no small feet: Irish dancing gets on my last nerve, especially when . . .
Irish dancing gets on my last nerve, especially when . . .
Forgotten uniform pants - back when my boys danced I left their two pairs of black pants at home. Oops. We were in Milwaukee at my sister's house, so the boys wore borrowed black pants belonging to their girl cousins. Moments before Tank walked onto the stage, I was safety pinning the flare out of the pants at the ankles. In May of this year - when I should've known better, I misplaced the girls' competitor numbers between the time I picked up the numbers at registration and the time when it came to zip them into their dresses. I had to race back to registration and pay to have a duplicate set of numbers printed. 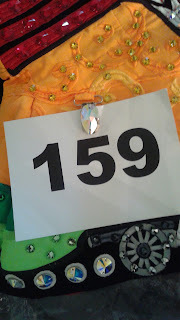 It helps to have your competitor number in clear view on your dress before you hop on the stage. Since I continue to lack the ability to be in more than one place at the same time, I struggle at these pesky events when my dancers are so often scheduled to compete at the same time on different stages. I have learned to wear comfortable shoes! The inevitable and unpredictable length of competitions regularly leads to frustration and exhaustion . . . especially when a long drive home lays in wait for me. Back when Eddie danced, the teachers decided one year that the boys on the ceili teams would be outfitted in kilts. A crowd formed in front of the stage as his competition was starting. Since I was jogging back and forth between stages, I hadn't arrived in time to jockey for a good position. I could only see the dancers from the waist up. Typically in a dancing competition the legs are the focal point. Damn. The dancing teacher was positioned in front of me. I wasn't sure what went wrong, but her shoulders slumped and she shook her head repeatedly. Apparently, Ed's kilt had come undone and flapped open mid dance. Irish dancers are notorious for keeping their arms glued to their sides, but during a ceili team competition arms are raised and hands clasped. Eventually Ed reached down and closed his dysfunctional kilt. As necessary as Ed felt this motion was, it was still considered unapproved. As a side-note, I had his kilt pinned perfectly. The teachers were concerned that the back flap of the kilt was dangling below the front layer of the kilt. They kept messing with it. Seriously, I doubt any judge cared about seeing a half centimeter of black fabric below the front pleats. Ed said another mom tried to adjust it, but ran out of pins. She promised to come back to fix his attire, but never did. I guess this was a case of too many dance moms in the practice room. As a person who enjoys the sun, I never thought I would own multiple bottles of leg tanner. The night before last year's nationals in Orlando, I intended to stick to my early-to-bed plan. When I tanned Curly's legs (oh, don't get me started on the ill will I feel towards wigs, leg tanning, and make-up) with the lotion that I packed from home, it turned her legs an unattractive shade of green. When the green tint formed and caused me to swear a blue streak, the girls nodded nonchalantly, 'Oh yeah, the teachers told us that we should all get new leg tanner because if it is old it will turn your legs green.' Thanks for the heads up. Honestly, I think they were just tickled pink to be able to stay up a bit later watching TV as I rubbed offensively dark tanner cream into Curly's legs. Since judges would most likely not award points for the best Hulk impersonator, I ended up giving her another shower. 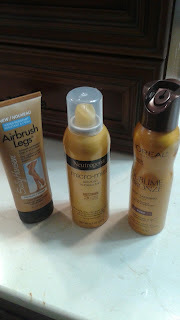 Then I raced across the street in my pajamas and bought a new bottle of leg tanner. So much for an early bed time. We've encountered regular run-of-the-mill setbacks like forgotten steps, false starts to the music, broken shoelaces, tears, and last minute jitters. What happened this year in New Orleans was a new obstacle to a stressful event. Still, they dance. AND they love it.